In 1979 Terrance Patterson retired from a full time job as a Commercial Artist and Exhibits Designer. To him, art was a way of life and gave him a way of expressing himself. His comments on his profession, "I have been drawing and sculpting for as long as I can remember, and I want to pursue my real love, sculpture exclusively." In 1973, he was commissioned to execute a Memorial for the Air Force which was rendered from a twelve ton block of Carrara Marble. In 1984, he was commissioned to create a Memorial for the Police of Colorado Springs, Colorado. The Memorial was cast in bronze and was dedicated in December 1984. It is proudly displayed in the entry of the Colorado Springs Police Protection Association building. His love of the West served as a motivator in his art, and his portrayal of people and animals of the West show a deep sensitivity to these unique personalities. 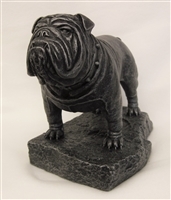 His sculptures may be seen in the Toronto National Museum, Toronto, Canada; Scotland Yard, London, England; The Pentagon Building, Washington, D.C.; Department of the Air force; Department of the Navy; Department of the Army; and Office of the Chaplains. The sculptures created by Terrance Patterson are in private collections in every state in the Union and most of the countries of the Free World. Terrance had one man shows in Colorado, Wyoming, Missouri, and Texas. 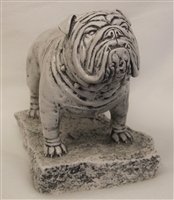 Terrance developed a business in affordable art castings made in Foundrystone, which are sold and shipped world wide. Although, Terrance passed away in 1991, his wife and youngest son Todd still maintain this business.